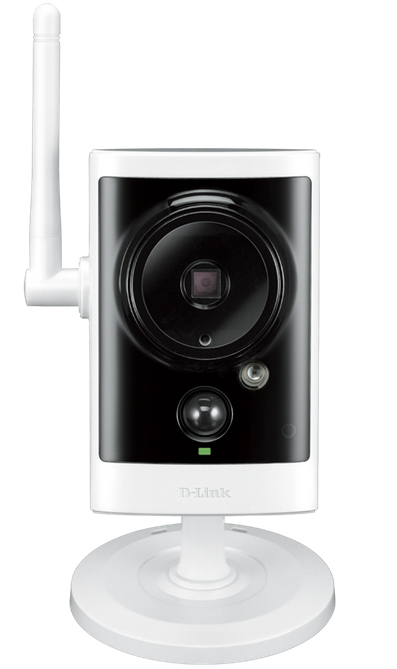 At D-Link, we’re always delighted to learn how our customers are putting their Wi-Fi Cameras to work. From pets devouring shoes in under three bites to babies taking their first steps to teenagers throwing unsupervised (or so they thought!) house parties while the parents were away, Wi-Fi Cameras have captured it all. But not everything worth watching happens inside – in fact, some of my favorite Wi-Fi Camera stories have come from the great outdoors. One D-Link user caught a cheeky squirrel stealing spare parts off of her water fountain. Another captured footage of her horse giving birth – not a video I’d necessarily want to watch in HD, but to each his own! Because it’s clear there is a lot be seen outside of our homes, and because we’re secretly hoping for lots of adorable animal watching stories from Wi-Fi Camera users, we’re pleased to announce that the latest addition to the D-Link family of cameras is now available: the Outdoor HD Wi-Fi Camera (DCS-2330L). It was made for the outdoors. And you’re going to love it. Like all of our cameras, the new Outdoor HD Wi-Fi Camera lets you keep an eye on what matters most from anywhere with a Wi-Fi, 3G or 4G connection. Equipped with IP65 weatherproof housing and a -13°F to 113°F operating temperature range, the Outdoor HD Wi-Fi Camera is the perfect outdoor surveillance solution no matter the season. Really. From winters in Buffalo to summers in Palm Springs there isn’t a climate this camera doesn’t love. Plus, the DCS-2330L features 720p HD video quality and night vision for viewing up to 15 feet in complete darkness, so you’ll be able to get a clear view of outdoor shenanigans anytime of the day or night. So if you’ve got a backyard, front yard, side yard or even a patio, keep an eye on it with the Outdoor HD Wi-Fi Camera.